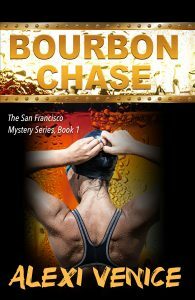 The San Francisco Mystery Series: A legal thriller/crime drama that tests the bonds of love and loyalty among District Attorney Amanda Hawthorne, Dr. Jen Dawson and Detective Tommy Vietti. Jen Dawson is an emergency room physician in San Francisco who thinks she has her life figured out. Tommy Vietti is an experienced detective who is loyal to the force, his Italian family, and his girl, Jen. Amanda Hawthorne is a charismatic District Attorney who prosecutes criminals while fending off attacks from mobsters. When their lives intersect both personally and professionally, passion leads them in a surprising direction. Alexi Venice is an Amazon Bestselling Author. She delights in offering readers the chance to escape the absurdities of reality for the sanity of fiction. Her popular San Francisco Mystery Series is a legal thriller/crime drama that tests the bonds of love and loyalty among Dr. Jen Dawson, Detective Tommy Vietti and District Attorney Amanda Hawthorne.